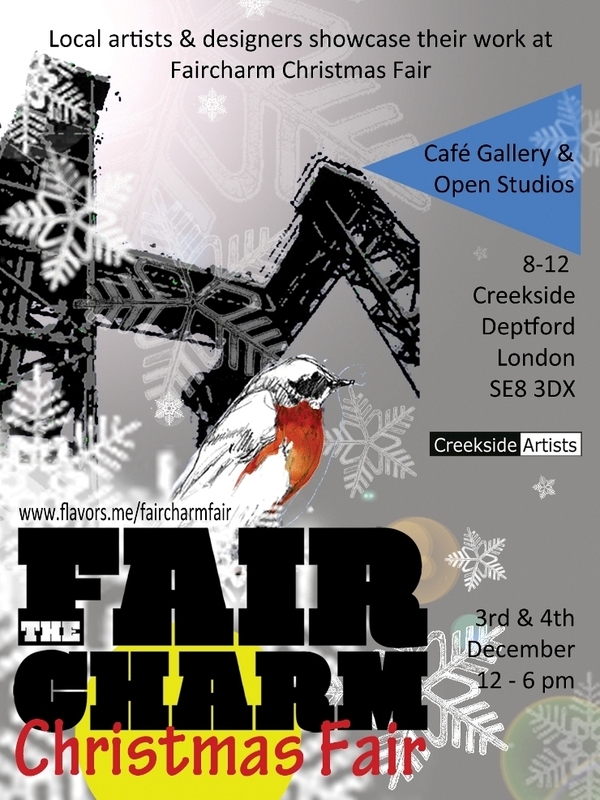 The Deptford Dame: Cockpit Arts, Faircharm Christmas Fair and 'Gifted' weekend! Cockpit Arts, Faircharm Christmas Fair and 'Gifted' weekend! 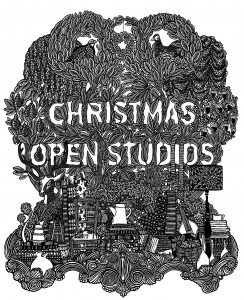 This weekend sees a flurry of opportunities to shop local, with Cockpit Arts holding its regular pre-christmas open studios, and the second Faircharm Christmas Fair taking place at the same time. A wide network of artists and designer-makers will be showcasing their work on 3rd and 4th December at Faircharm Christmas Fair. This event provides local artists and designers with a platform to exhibit and sell their work in Deptford. Members of the public are invited to explore working studios at Creekside Artists as part of their annual December Open Studio event. Visitors will also have the opportunity to browse and buy furnishings, fine art, fashion and jewellery direct from local artists and artisans such as Katie New, Kaori Homma, Ruth Solomons, HB Jewellery and London Kills Me. Masons Catering, whose pop-up café was a particular hit at last year’s Christmas Fair, have now established a more permanent base within Faircharm. The cosy Creekside Café will host an exhibition of work by Creekside Artists and plans to serve seasonal treats throughout the Open Studio weekend, alongside their regular menu of Fairtrade tea, homemade soups, sandwiches, cakes and tasty coffee. 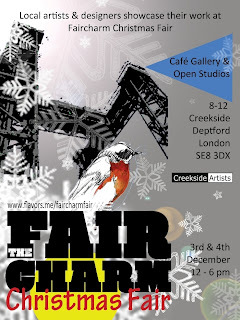 Our Deptford Open Studios (2-4 December) are part of GIFTED a weekend of art & design in Deptford. An eclectic mix of art design featuring work by over 200 emerging artists and designer-makers, over two days, all in one postcode.